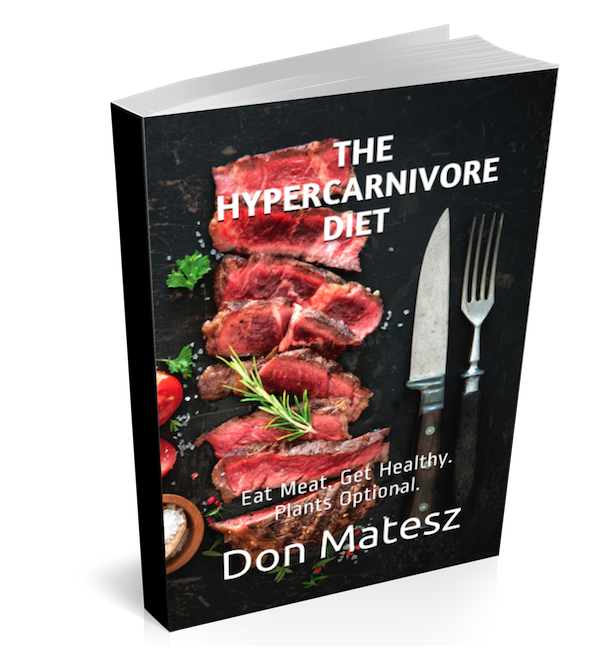 The Hypercarnivore Diet: The Wahls Protocol – Paleo Magic or Faulty Logic? The Wahls Protocol – Paleo Magic or Faulty Logic? Terry Wahls, author of The Wahls Protocol, asks "Could Vegetarianism Increase Your Risk Of Autoimmune Disease?" In this article Wahls suggests that she developed multiple sclerosis because she adopted a 'vegetarian' diet in her teen years after reading Frances Moore Lappe's Diet for a Small Planet. "I eventually chose medical school instead of vet school. As a student, I lived on beans and rice, whole-grain bread, eggs and cheese, vegetables and fruit. At the time, the medical profession promoted a low-fat, low-cholesterol diet. I disagreed with this on an intuitive level. I ate eggs and cheese in addition to my beans and rice, believing I needed the fat and protein for my high-energy lifestyle. Through med school, my internship, and various relationships, I remained a vegetarian." This tells us that her 'vegetarian' diet included plenty of animal protein, saturated fats, and cholesterol, and that she mistakenly believed that fat and protein are the best sources of energy for a physically and mentally active young adult. Cheese and eggs are the richest dietary sources of saturated fats and cholesterol, respectively. Dairy fat has the highest proportion of saturated fats (~54%) and 100 g whole egg supplies 372 mg cholesterol, whereas 100 g of grass-fed beef supplies only 62 mg, i.e. the eggs have on a weight basis 6 times the cholesterol of the beef. One egg also provides ~5 g saturated fat. The 2013 Atlas of MS, page 8, shows that MS primarily afflicts people in affluent nations eating animal-rich diets. Nations that consume large amounts of dairy products – U.S.A., Canada, Scandinavian nations – have the highest prevalence. The regions with high intakes of grains and legumes but lower intakes of land animal flesh, dairy products and eggs – Africa and Asia – have a low prevalence. Anyone claiming that grains and legumes cause MS needs to explain why the nations with the highest intakes of grains and legumes have the lowest prevalence of the disease. “During digestion all fats are first reduced to small globules of fat and then to chylomicra in the blood. These chylomicra collect in the small arteries from which feeding capillaries arise. After a large fatty meal, the chylomicra are crowed together and form aggregates. When formed from unsaturated fats (oils), aggregates are relatively small and loosely held together. The aggregates are small enough to enter and pass through the capillaries and nourish the tissue. Conversely, saturated fat aggregates are much larger and tightly bound together. They may or may not enter the capillaries and, due to their size, may get lodged in the capillaries or very slowly pass through. The rigidity of the aggregates makes them less easy to deform by the shear forces than the softer aggregates formed from the lower molecular weigh droplets from vegetable oils. As a result the tissues to be nourished by the large aggregates fail to receive adequate nourishment and may starve or function poorly. Dairy and eggs are also among the eight foods that account for 90 percent of food allergy reactions in the United States. 6 Cow milk and chicken egg proteins are among the most allergenic proteins consumed by humans. Wahls reports adopting a dairy- and egg-free diet to treat her MS.
"I began experimenting on myself, and one of my first discoveries was the work of Dr. Ashton Embry, who had connected diet to multiple sclerosis. Nobody had ever suggested to me that there could be any connection between multiple sclerosis and diet (the mainstream medical literature continues to deny the connection). "Dr. Embry’s son had multiple sclerosis, and he wrote that a diet without grains or dairy products that included meat could have a dramatic effect on MS progression. I decided it was worth a try. At first, the thought of eating meat was nauseating to me, both physically and morally. I wanted desperately to heal, and I was willing to try just about anything, but by this time I had been a vegetarian over 15 years." She also writes "I would refine it further, not only eliminating foods that were causing problems for me (grains, legumes, dairy, and eggs)..."
"I once was a vegetarian because of my conscience, but now, as a doctor, I can no longer in good conscience recommend it. She seems oblivious to the significance of removing dairy and eggs, the richest dietary sources of cholesterol and saturated fats, from her diet. As quoted above, she says that she disagreed with the recommendations for a low-fat, low-cholesterol diet "on an intuitive level." Yet removing these high-fat, high-cholesterol foods from her diet improved her condition. How good was her intution? And should a medical doctor rely on "intuition" when there is data to be had? Sorry to say, I am surprised and dismayed that someone with such weak reasoning skills can have graduated from medical school. This woman grew up on a farm, "milking the cows" daily, eating eggs, dairy products, and the flesh of chickens, cows, and pigs, until her teen years, then persisted for 15 years eating "eggs and cheese" for fat, protein, and "energy" as a part of her "vegetarian" diet and she thinks that eating grains and beans caused her MS and eating meat cured it? Does she recognize that eggs and cheese are not plant foods? Does she not realize that her diet was rich in saturated fats, cholesterol, and animal products all along? Does she rely on her "intuition" to determine the cause of MS, even when it conflicts with the data? Does she even care about the data? "I eventually developed the Wahls Diet, which focuses on vegetables and fruits: 9 cups every day, divided into 3 cups of leafy greens, 3 cups of brightly colored fruits and vegetables, and 3 cups of sulfur-rich vegetables, as well as a regimen of organ meats and sea vegetables"
The patients in the Swank study achieve the same results or better than hers. Based on the data we have about MS, and the proven success of the Swank protocol for MS (low saturated fat plant-based diet) her improvement was caused by avoiding dairy and eggs, not by adding meat or avoiding grains and legumes. The common factors are reduction of dairy and egg products, and increase of vegetables and fruits, not consumption of organ meats, which are not emphasized on the Swank diet, but are relatively low in fat. For example, beef liver supplies only 1.5 g fat and 0.5 g saturated fat per ounce, compared to cheddar cheese's 9.4 g total fat and 6 g saturated fat per ounce; the cheese has 6 times as much total fat and 12 times as much saturated fat. By removing cheese and eggs from her diet and substituting beef liver or other organ meats, she sustains a very significant reduction in total and saturated fat intake. There is no paleo diet magic here. Her protocol is lower in fat and saturated fat than the diet that she ate for years before her MS diagnosis, including her "vegetarian" diet. Further, vegetables and fruits supply many anti-inflammatory compounds including dietary salicylic acid, which improves blood circulation. Finally, to answer her posed question: Yes, a "vegetarian" diet could very well increase your risk of autoimmune disease, because a "vegetarian" diet can include plenty of animal protein, fat, and saturated fat from dairy products and eggs. But a whole foods plant-based diet does not include dairy, eggs, or any other animal matter as staple foods. Dr. Wahls came to some right conclusions – avoid dairy and eggs, eat more vegetables – and some wrong conclusions – eat more organ meats – by some faulty logic. She believes in a false dilemma, that we must choose between eating ethically, or suffering MS or other autoimmune diseases. The evidence I have cited indicates that she could have both her ethics and her health by choosing a whole foods plant-based diet. All dairy products must be non-fat or contain no more than 1 gram of saturated fat per serving. The recommended daily amount is two (2) servings. EGGS. The white of the egg contains no fat. The yolk contains 5 grams of mostly saturated fat. You are allowed three eggs per week, but no more than one per serving. One complete egg = 5 grams of saturated fat. POULTRY. The average serving is four (4) ounces. Skinned, trimmed white chicken or turkey meat is permissible. Avoid processed meat products such as ground turkey and chicken, which may contain dark meat, skin and fat; luncheon meats made from pressed turkey and chicken; and canned turkey and chicken products. For ground turkey and chicken breast, grind it yourself or ask your butcher to prepare and grind it for you when the grinder is clean. This may cost a bit more. Cod, abalone, halibut, snapper, smelt, flounder, sole, sturgeon, tuna canned in water, shark, mahi mahi, haddock, perch, pollack, etc. Fatty fish contains unsaturated fatty acids and must be counted in your daily oil allowance. You are allowed 50 grams (10 tsp.) per day. RED MEATS. During the first year on the diet, red meat is not allowed, including pork. Of the following low-fat meats, 3 oz. = 1 tsp. saturated fat. You are allowed 3 ounces (weighed after cooking) following the first year. 2 ounces of the following medium-fat meats = 1 tsp. saturated fat. You are allowed 3 ounces following the first year. Don - This is NOT a vegetarian diet in any way shape or form!! BTW - have you had blood work done lately?? We are curious if you've reached the magic numbers of TC<150 and LDL<70. No kidding? I never claimed that the Swank diet was a vegetarian diet. It is a low-fat, low saturated fat diet. As anyone can read for themselves, milk fat and egg yolks are strictly limited, and all notes about animal foods for that diet involve restrictions of portions and types to limit total and saturated fat content. And nowhere does Swank claim that any patient must eat any of those animal products. In other words, it is possible and permissible for someone following the Swank diet to avoid all animal products. In fact, the less one eats of them, the less the SFA intake, i.e. the easier it is to achieve the goal of the diet. Those are the permissible animal products (because of their low fat content)but they are not required to follow the Swank diet. I am aware of no evidence that consumption of any type of animal product improves outcomes for MS patients or reduces the risk for development of MS. All eyes if you have any evidence otherwise. You know what scientists do when they want to study MS in lab animals? They feed them cuprizone. Why don't scientists conclude from this that MS sufferers might have copper deficiency? Saturated fat inhibits copper absorption. And cholesterol feeding induces copper deficiency in lab animals. I think Don is right. As usual. Swank stated that he felt a pure vegan diet is most effective. According to him, the animal foods recommended in their protocols were to improve compliance. Hello Don - someone else told me about this post and I am thankful they did. I appreciate much of what you said here ... a lot of food for thought. I have Wahls new book. I wont say anything about the book but I will say that your thoughts echo mine. OF COURSE you'll do better cutting out the milk and cheese and adding a lot of vegetables and fruits. This is true for so many 'miracle diets'. People ditch their bad eating habits and adopt some really good ones ... and YES they feel better!! But that does not mean the particular diet they were following is the best diet to follow. I am at some sort of crossroads in my search for a 'good diet'. I am so sick and tired of all the hype. It's easy to get sucked in to it if we are not careful. The best thing to do is step back and think objectively, and I think that is what you did here in this blog post. Swank has some very convincing evidence that we must stay as far away from saturated fats as possible. Thank you for the reminder ... I needed it. Does anyone have any thoughts on how coconut oil fits into this discussion? I agree with this post that Wahls ignored the potential effect of eliminating eggs and dairy, thus reducing saturated fat as Swank promotes. But she also advocates coconut oil with just about everything, meaning that her total saturated fat is very high, to the extent that it induces ketogenesis. Is it significant that this saturated fat is plant-based? I was diagnosed with MS three months ago. After doing initial research I believed the Swank approach most compelling and I've switched to a plant+fish-based diet, so low saturated fat. Then I read Wahls' new book, which, other than increased veggies, seems to say the opposite of Swank. Currently, I'm sticking with Swank; I decided that ultimately Wahls is based on an n=1 which is ridiculous; also, she never once cited Swank in her book which is also ridiculous - standard scientific practice is to discuss your hypothesis in the context of other published results. Wahls has some NIH funded clinical trials in progress testing her diets, I'm looking forward to seeing those results. In the meantime, I'd be interested in hearing others thoughts about the coconut oil & ketogenesis aspect. "Saturated fat consumption increases the risk of developing multiple sclerosis, and MS patients have higher nerve membrane levels of shorter-chain SFAs than controls. 1, 2"
The language "...consumption increases the risk of developing multiple sclerosis" implies that causation has been demonstrated, when in fact only correlation is demonstrated. Is there any evidence refuting a causal relationship between consumption of animal fat and MS? "In addition, this study also showed that higher C14:0 and C16:0 reflected better disease outcome as demonstrated by the inverse correlation with the EDSS and FSS"
In other words, the higher the content in nerve membranes of the saturated fats myristic acid (found in dairy) and the dreaded palmitic acid (found in meat), the less disease symptoms suffered by MS victims and the better the outcomes. In contrast, higher levels of the C:22 (behenic acid) and C:24 (lignoceric acid) saturated fats were associated with worse outcomes in MS. Behenic and lignoceric acids are found in plant foods such as 'canola" oil and peanuts.